Olya Surits from Khabarovsk, Russia never saw herself in a white wedding dress. “I always saw myself in a dramatic huge red dress power-strutting down the aisle,” she says. 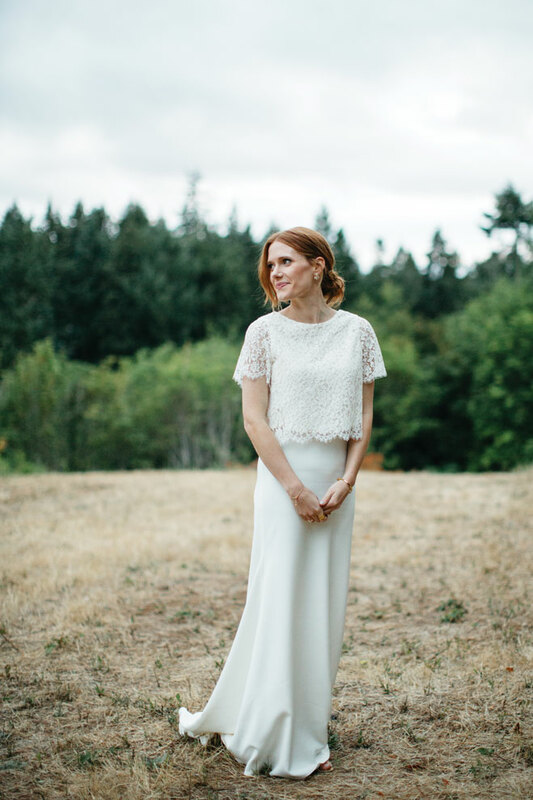 With only four months between her engagement and wedding day in August, 2015, to Ian Newcom, Olya met with Lyubov Medvedev owner of Lyubov Couture in Northeast Portland. After sourcing materials from San Francisco and even a Chinese vendor on eBay, Olya’s dream red wedding dress— designed by herself and Medvedev—came in around three hundred dollars After the wedding ceremony at a private residence in Portland, Olya donned a kokoshnik—a Russian headpiece—and surprised guests with a Russian dance with her father. In the middle of the dance, Olya unbuttoned her poofy skirt and unveiled a smaller dancing dress beneath.